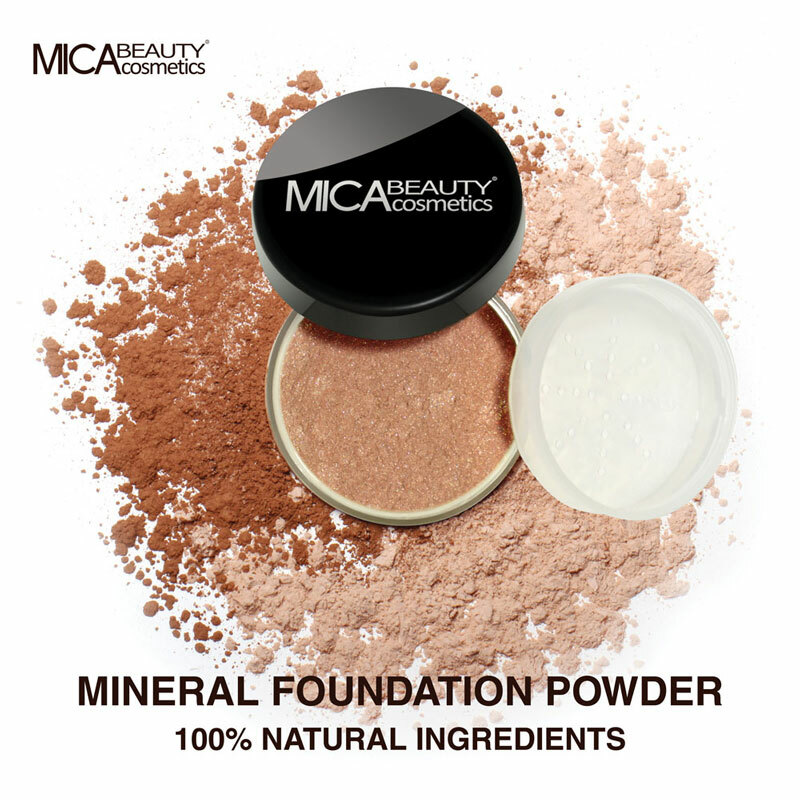 The MicaBeauty Mineral Makeup collection is made of 100% natural MICA. These sophisticated shadows create a great look that lasts all day and night. You will earn 5 Mica Points for purchasing this product. 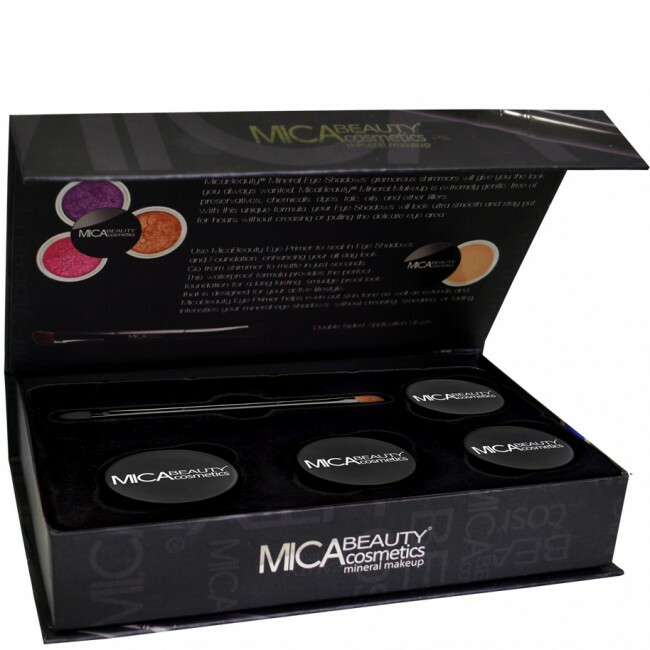 The items included in this Special Offer are: • 3 Mineral Eye Shadows • Eye Primer • Double-Sided Application Brush MicaBeauty Mineral Makeup is made of 100% natural MICA. 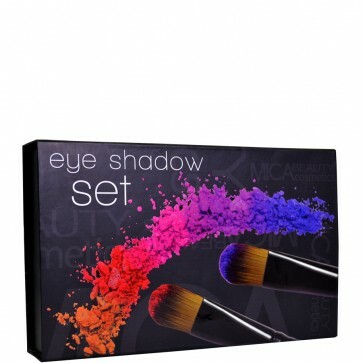 These sophisticated Eye Shadows create a great look that lasts all day and night. The unique blends of micro-pulverized minerals and pigments apply easily, blend incredibly well, and have an amazing staying power. They are so pure that they will not irritate even the most sensitive eyes. Go from Shimmer to matte in just seconds with MicaBeauty's Eye Primer. With this water-proof formula, even the most active day wont smear or fade your eye shadow! Available in several colors. Discover your perfect shade! Go Smokey contains: Eye Shadow #61, Eye Shadow #77, Eye Shadow #99. Go Green contains: Eye Shadow #86, Eye Shadow #5, Eye Shadow #58. Go Blue contains: Eye Shadow #70, Eye Shadow #104, Eye Shadow #76. Go Brown contains: Eye Shadow #8, Eye Shadow #39, Eye Shadow #27. Mineral Eye Shadows contain: Mica.